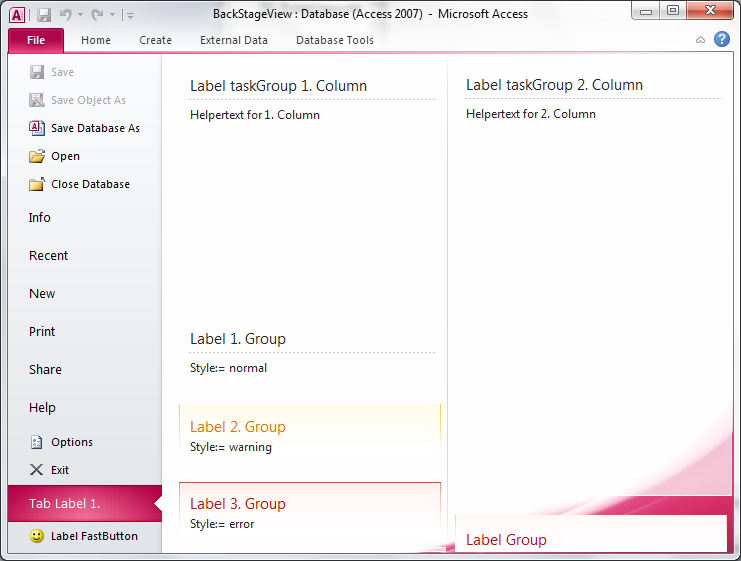 In a Backstage - group areas with headlines and borders can be defined. If you want to use all elements you have to define them in this sequence in Ribbon XML. For each Group a style can be defined.